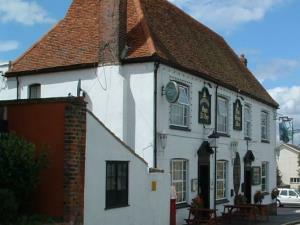 A beautiful 16th Century freehouse once famous as a smugglers inn. The exposed beams and inglenook fireplace provide a warm and cosy welcome on winter evenings. During the warmer months enjoy the large beer garden or stroll down to the waterside to take in the views of the Blackwater estuary. Home-cooked meals are available in the restaurant or bar and there is a large family room. Fresh fish is a speciality at weekends. The relaxed atmosphere provides the perfect refreshment stop for yachtsmen, birdwatchers or ramblers. Pre-booked groups of up to 40 can be accommodated. Coach parking by prior arrangement.